Immediately after you leave the built-up area of Tremezzo and pass the Grand Hotel, you'll spot the entrance to the majestic Villa Carlotta. Villa Carlotta acquired this name because, around the year 1850, it was given by Princess Marianna of Nassau, wife of Albert of Prussia, to her daughter Carlotta on the occasion of her marriage. However the house is of much older origin, having been built in 1690 by the Milanese marquis Giorgio Clerici. It was subsequently owned, until 1838, by the marquis Sommariva who embellished it with artworks and sumptuous furnishings. 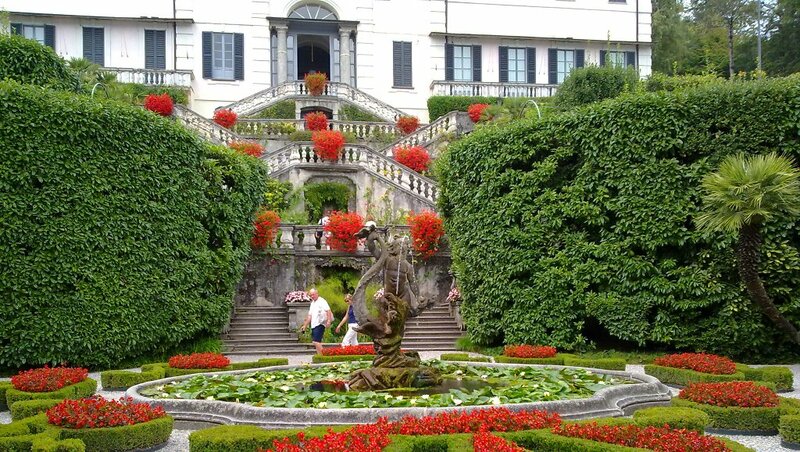 But Carlotta concentrated her attention on the garden, enlarging it and introducing rare and exotic plants. Now Villa Carlotta hosts a museum with some outstanding 19th-century works: sculptures by Antonio Canova and Berthel Thorvaldsen. But its grounds - with the many hundreds of botanical species - are the main attraction. The formal Italian-style gardens, dramatic terracing, parterre and massed flowering shrubs are a joy to see.